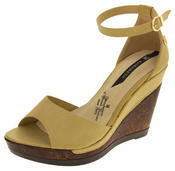 These gorgeous canvas pumps are the newest addition to the extensive Keddo women?s shoe range. They have a padded insole and a soft textile lining making them extremely comfortable. These shoes are perfect for any occasion and for taking on holiday in your suitcase. So grab yourself a pair of these fantatsic shoes today, you will not regret it!